It wasn't proven that Alfredo Vazquez-Hernandez was a top aide to Joaquin "El Chapo" Guzmán (above), but he was still sentenced to 22 years in prison. 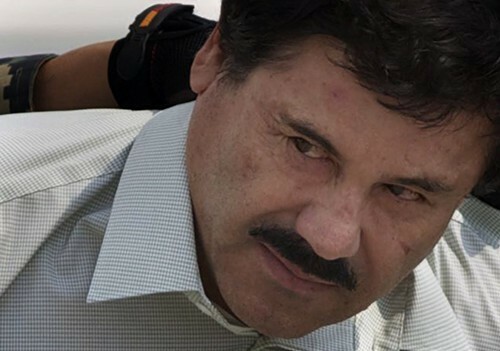 Federal judge Ruben Castillo said Monday that he didn't see solid evidence showing that Alfredo Vazquez-Hernandez met with Sinaloa cartel leader Joaquin "El Chapo" Guzmán, let alone that he was a logistical coordinator for the drug organization. But the judge also said no one believes that Vazquez-Hernandez "just got out of bed one morning" and decided to get involved in a deal to move 276 kilograms of Central American cocaine into Chicago, a crime for which the 59-year-old businessman pleaded guilty earlier this year. "It's nonsensical to think this was the defendant's inaugural voyage into drug trafficking," Castillo said. "As a judge who's been on the bench for 20 years, and been involved in the drug war for most of my life, I can't believe it, nor can any other Chicagoan." He then sentenced Vazquez-Hernandez to 22 years in federal prison. "I will tell you on behalf of all Chicagoans and all the citizens of this country that we are tired of drug trafficking," said the judge. When he was offered a chance to speak, Vazquez-Hernandez—gray haired and small built, wearing a baggy orange prison jumpsuit—apologized through a Spanish interpreter to the court and the United States. "I accept responsibility for what I did." But the extent of his responsibility remains an open question. All sides agree that Vazquez-Hernandez discussed the cocaine deal at a 2008 meeting with several drug traffickers tied to the Sinaloa cartel. It was secretly taped by one of the Flores twins, Pedro and Margarito, who were responsible for moving thousands of kilos of coke and heroin into the Chicago area before they began cooperating with the feds. But Paul Brayman, an attorney for Vazquez-Hernandez, argued that the recording was too muffled, and the language was too coded, to make out what exactly was being discussed or by whom. It's not even clear which one of the Flores twins was in on the conversation—at different points, each of them has been identified. Brayman also argued that the Flores twins were trying to make Vazquez-Hernandez out to be a kingpin when he really just stumbled into the deal at a time he was desperate for money. Judge Castillo agreed that the recording was unclear and that it wasn't fair to rely on the twins to interpret it. "The Flores brothers have an incentive to shift responsibility from themselves," he said. "I'm not going to let the specter of Chapo Guzmán weigh in." Yet the judge said he was disturbed by how little was known about Vazquez-Hernandez, noting that authorities had found few records disclosing how he made money and supported a family. "It's like he's Mr. X," Castillo said. "If I were a betting person, I would bet there is some money somewhere." Castillo has criticized the war on drugs for targeting low-level offenders and minorities. But he said this sentence should be viewed by other traffickers as a "message" that they will face long prison terms for pumping large volumes of drugs into Chicago and other cities. After the hearing, Gabriel Vazquez, 44, who said he's the oldest of Vazquez-Hernandez's ten children, called the sentence "harsh." "My father, he's not the monster everyone says he is. He worked, worked, worked all his life. He's a good person." Meanwhile, the U.S. attorney's office released a few more details about their agreement with the Flores brothers, who pleaded guilty in 2012 and are set to be sentenced next month. The brothers admitted to working with Sinaloa operatives to move up to 2,000 kilos of cocaine a month into Chicago before cooperating in 2008—and to transporting nearly $1 billion in proceeds back to Mexico. Under their agreement, they'll forfeit $3.6 million in cash and $400,000 in jewelry, cars, and other goods. If Judge Castillo accepts the agreement, they'll each be eligible for as much as 16 years in prison. The charges against the Flores twins and Vazquez-Hernandez are part of a case that also involves the indictment of Chapo Guzmán, who was captured in Mexico in February. Some federal officials have called for him to be tried in Chicago, but it's not clear that Mexico will allow him to be extradited. NOTE: Federal officials spell the defendant's name as "Vasquez-Hernandez," but his son says it's actually Vazquez-Hernandez.